KINGSTON TWP. 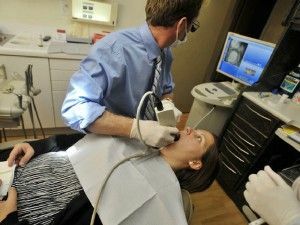 — In recent years, Dr. James DeFinnis and Back Mountain Dental have observed big shifts for patients seeking dental care. Coverage and benefit packages are constantly changing, but so are the personal circumstances for patients. Some change jobs or even lose their jobs, then find themselves without benefits they had become accustomed to. Amid such changes, some cut back on visits and delayed treatment — or decided not to go at all. For most people, a trip to the dentist is anticipated with dread. It might hurt or cause discomfort. There is the awkwardness of trying to talk with fingers or instruments in your mouth, and then there’s the sense of guilt when the dentist calls you out on not flossing since your last visit. But for patients at Back Mountain Dental, the experience is different. Their feedback shows that time with the staff leaves them at ease, even if they normally hate going to the dentist. “What a great experience! I can’t wait to see the end results of the work I am going to have done by Dr. DeFinnis and the team. My only regret? Not seeing them sooner! If you have dental phobia like I do, go see Dr. DeFinnis. I promise you will not be sorry,” wrote one patient about her experience. Interacting with patients is the favorite part of the work week for Dr. James DeFinnis, the owner of the practice. “I love that I get to meet and talk to so many people in a day,” he says. The people who go to Back Mountain Dental prove that the practice is special. 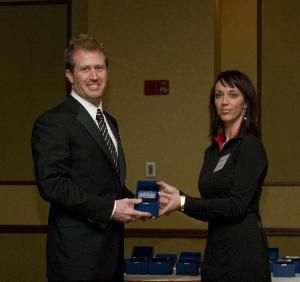 In addition to referring friends and family, they have continued to select Dr. DeFinnis for awards. Among other awards, he was named Platinum Winner for the Times Leader Reader’s Choice 2016 Awards and Best Cosmetic Dentist in the Best of the Back Mountain contest for numerous years. Dr. DeFinnis attended Bucknell University as an undergraduate and went to dental school at Temple University, opening Back Mountain Dental soon after. In addition to outstanding patient care, he specializes in sedation dentistry (which is particularly beneficial for people who are afraid of the dentist), veneers, crowns, whitening, cleanings, fillings and root canals. Another aspect of Back Mountain Dental that sets the practice apart is their training and skill. The staff is able to execute complex procedures in one visit so that patients can minimize the time they have to spend at the dentist away from work and family. Part of helping to avoid needing those complex procedures is coming in early on to have potential problems looked at before they get too serious. Regular check-ups, brushing and flossing are also critical to preventing plaque and bacteria buildup. Preventative actions like coming in for a cleaning can save money and pain in the long run, and when the staff is as enjoyable as Back Mountain Dental’s, you just might have fun during it. Back Mountain Dental offers a comprehensive array of dental services to fully support your family’s oral health. Dr. DeFinnis and staff provide general dentistry services, cosmetic dentistry and sedation dentistry. The practice is located at 210 Carverton Rd. in Shavertown. For more information, visit them online at BackMountainDental.com, or call 5705068300 for new patients to make an appointment. 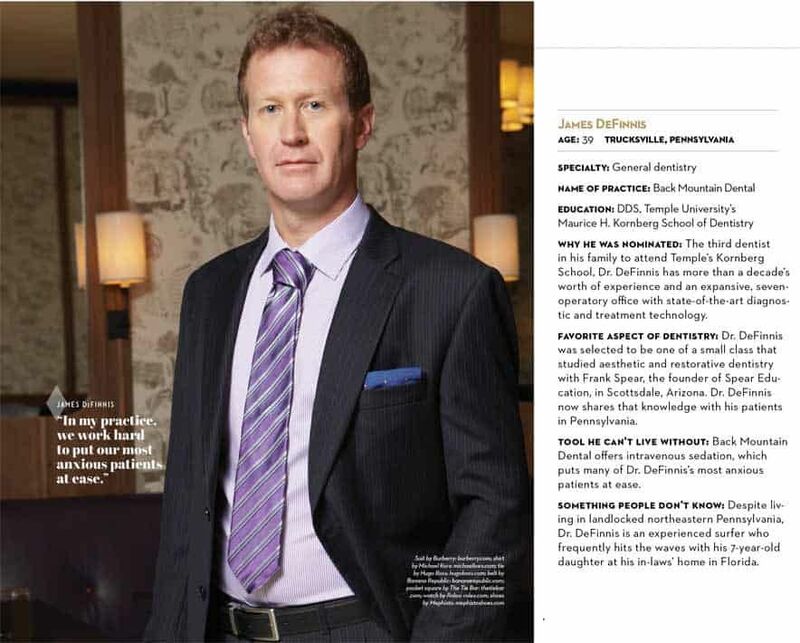 Dr. James DeFinnis was voted again ‘Best Cosmetic Dentist‘. 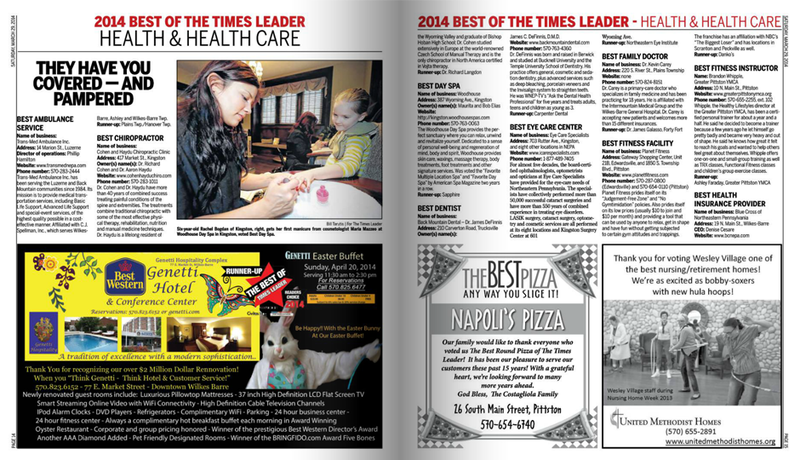 These businesses have been voted best in their category for three consecutive years by Times Leader readers. Dr. James DeFinnis was awarded the Platinum award for ‘Best Dentist‘ check out the winners. KINGSTON TWP. — Dr. James DeFinnis of Back Mountain Dental not only calms patients’ fears; he gives them a reason to smile. 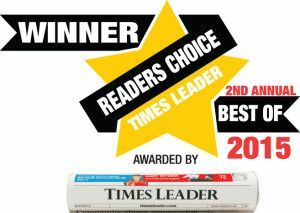 DeFinnis’ patients, in turn, have shown their gratitude by voting him as “Best Dentist” in the 2016 Times Leader Readers’ Choice Awards for the third consecutive year. The eight-member staff of dental hygienists and office staff members shares a common motto of being “serious about dentistry, but we do not take ourselves seriously,” DeFinnis said. Humorous rapport among DeFinnis, his staff and patients can ease jittery nerves of those in the exam chair. “We have grown a business by calming nerves,” he said.DeFinnis said his commitment to providing patients withcomprehensive dental care sets him apart from others in his field. 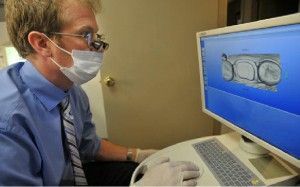 An example of his dedication is a computerized devicecalled CEREC placed in a corner of an exam room. 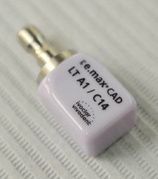 CEREC allows DeFinnis to measure, design and carve a porcelain block into a dental crown for installation in one day. 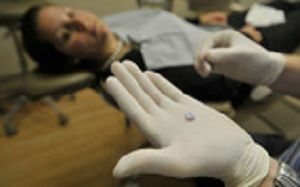 Typically, dental crowns require a two-visit procedurerequiring patients to take more time off from work, he said. 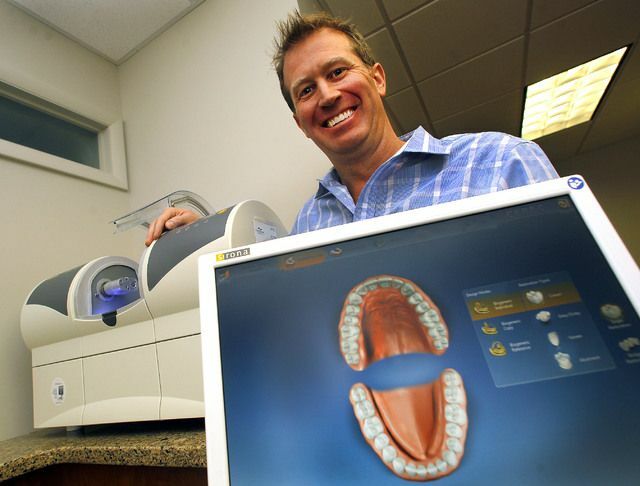 “It (CEREC) reduces a patient’s need to take off time from work for a return visit,” he said. Dentistry has played a role in DeFinnis’ life since childhood. His father, John, is a dentist in Berwick. 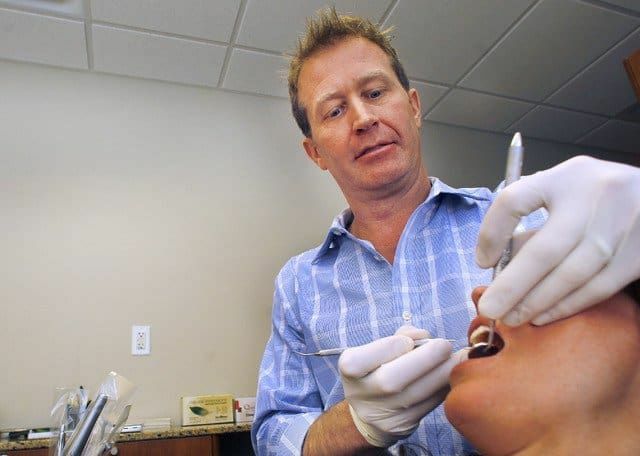 DeFinnis began practicing dentistry in his father’s office for almost a year before the opportunity to purchase the Back Mountain practice came available, he said. “Dentistry is a family affair,” the 42-year-old said. “My brother, Tom, has a dental practice in Philadelphia.” Even DeFinnis’ wife, Jodee, keeps Back Mountain Dental organized. DeFinnis and his wife live in Shavertown and have three daughters, Isabella, 10; Nadia, 8; and MIla, 4. Reach Eileen Godin at 570-991-6387 or on Twitter @TLNews. I have friends and relatives who fell in love in high school. They married and actually remain happily married today. Does that make our heads spin in today’s world? There are people who spend their lives with that person who made them fall in love decades before for the first time and whose relationships lasted through high school, college, and graduate school. They marry and their marriages are successful to this day. The ingredients are not always the same. But, when you find the essential elements of couples who make high school love relationships work for the long run, this phenomenon really does make sense. Jamie (James) DeFinnis graduated from Berwick High School. We in The Back Mountain know well this school as the Berwick Bulldogs. As a high school freshman and sophomore, Jamie DeFinnis played on the Bulldog golf team. He readily admits he was good at golf but just wasn’t going to be a standout. At 16 years of age, he was stopped for speeding. “ I remember well not ever wanting to disappoint my parents”, Jamie recalls. Many teens often feel their need to have “make-ups”, new votes of confidence that will assure parents that their kids are on the right track again. If that results in a positive recognition and outcome for both teens and parents, then those lessons can be invaluable. For Jamie DeFinnis, that was the case and he admits these issues were turning points in his life. Cross-country became Jamie’s new school sport which fueled his competitive spirit. He began training for the Berwick High School team in his junior and senior years and, through hard work, became the number one runner for Berwick High School. That distinction awarded him a spot on the Division I Bucknell University Cross Country team after graduating from Bewick High School in 1991. Anyone who follows regional and even national cross-country or marathon running has heard of “Run for the Diamonds” in Berwick, Pennsylvania. “Berwick Run for the Diamonds” is a local nine-mile run starting and ending on Market Street in the small town of Berwick, but has national recognition.” Top runners have been at this annual event every Thanksgiving Day since 1908. Everyone in Berwick has heard of Bill Bull. Bill was Jamie’s high school cross country coach and a seasoned, recognized competitor in the Run for the Diamonds. According to Jamie DeFinnis, “Everyone he coached and every runner who knew Bill wanted to beat his time at the Diamond Race.” In Jamie’s junior year at Bucknell, he entered “The Diamond” with the intent of beating his former coach’s time. Jamie came short by only eight seconds of taking away Coach Bull’s milestone. That winning streak ended for Coach Bull in 1994 when Jamie DeFinnis beat his former coach in that Thanksgiving Run for the Diamonds. This was historic for Jamie DeFinnis, and it was a day he could put his “make-ups” behind. Jamie finished at Bucknell University with a degree in economics and a minor in science. He went on to Temple University School of Dentistry. Dental School was a natural progression for Jamie. Both his father and brother are both dentists. His father has a dental practice in Berwick and his brother owns a practice in Wynnewood, Pennsylvania. Jodee Wargo-DeFinnis, Jamie DeFinnis’ wife, is in every way his partner and is in no way less accomplished. They have been together since her freshman year and his junior year at Berwick High School. This couple, who will be married 15 years in July, had their first date on May 5, 1990. While attending one of Jamie’s friend’s baseball games, Jamie asked Jodee if she would go to the movies with him sometime. Jodee was a freshman and Jamie was a junior. Jodee’s parents had a rule: no dating before you are sixteen years of age. But, Jodee pleaded with her parents and they made an exception. They knew her future husband’s parents and said, “It would be ok.” It was nineteen ninety and the movie they decided on was Pretty Woman. That sounds so long ago, but then, my first movie date was, “The Exorcist “circa 1973. Jodee Wargo-DeFinnis graduated from Berwick High School in 1993. She accomplished her educational pursuits in a roundabout way; and everything she has studied has benefited her and her husband’s business today. After graduating in 1993 from Berwick High School, Jodee opted to go to Penn State, Hazleton, and took some general courses to get her feet wet. When her second year at Penn State started, she took a leap of faith with something she was not at all comfortable or familiar with; she jumped into electrical engineering courses. At the same time her future husband, Jamie, applied and was accepted to Temple Dental School. To be closer to Jamie, Jodee decided to apply and finish her studies at Temple University. She was awarded a degree at Temple and graduated in May of 1997. She interviewed with AT&T for a systems engineering position and began working in Holmdel, New Jersey. At that time, AT&T offered classes through Steven’s Institute of Technology, and it was there that Jodee received her MS in Project Management. IBM bought out Jodee’s division of AT&T in 1998, so now she was employed by IBM. Meanwhile, Jamie graduated from Temple Dental School in May of 1999 and that year both Jamie and Jodee moved back to Berwick. Fortunately, Jodee was able to work remotely for IBM and went back to school at Bloomsburg University pursuing a degree in early childhood education, which she thought would be invaluable for a future mother. She received that degree in May of 2003. A lot happened before Jodee and Jamie walked down the isle in July 2000. Early that same year, an opportunity arose in The Back Mountain for Jamie to work in an existing dental practice since the dentist had fallen ill. The day that his interview was scheduled it had to be postponed because the owner, Dr. Lawley had passed away. So in February of 2000 Jamie began commuting from Berwick to practice at the Carverton Road office Jamie, within a very short amount of time, became the sole dentist managing a busy office. Knowing they wanted to raise a family, both Jodee and Jamie had to decide where to plant their roots. The Back Mountain was very similar to their hometown of Berwick. They knew it was a closedknit community that was quiet and safe. They also believed there would be more educational opportunities for their children. So, with all of these advantages, Jamie decided to purchase the Trucksville practice in June of 2000…only days before their wedding. While Jodee and Jamie spent a three-week honeymoon in Hawaii and Las Vegas, the Carverton practice went through a complete remodel. When they returned, the new practice was launched. Jodee began working along side of Jamie. He wanted her to learn the business. It was at this time when people began searching online for healthcare choices so Jodee began learning the technology side of the practice. For the past 15 years, she has managed the technology and marketing aspects of Back Mountain Dental. Life is busy for the DeFinnis family. They have three young daughters: Isabella, age 9, who loves soccer; Nadia, age 7, who loves basketball and Mila, age 3, who loves gymnastics. Jamie will be celebrating 15 years this July as owner of Back Mountain Dental with Jodee at his side. Both Jodee and Jamie believe moving from Berwick to The Back Mountain was the best decision they’ve ever made. High school, college, dental school and graduate school; this relationship’s journey with its time restraints, studying restraints and distance restraints has stood the test of time. Post by Back Mountain Dental. 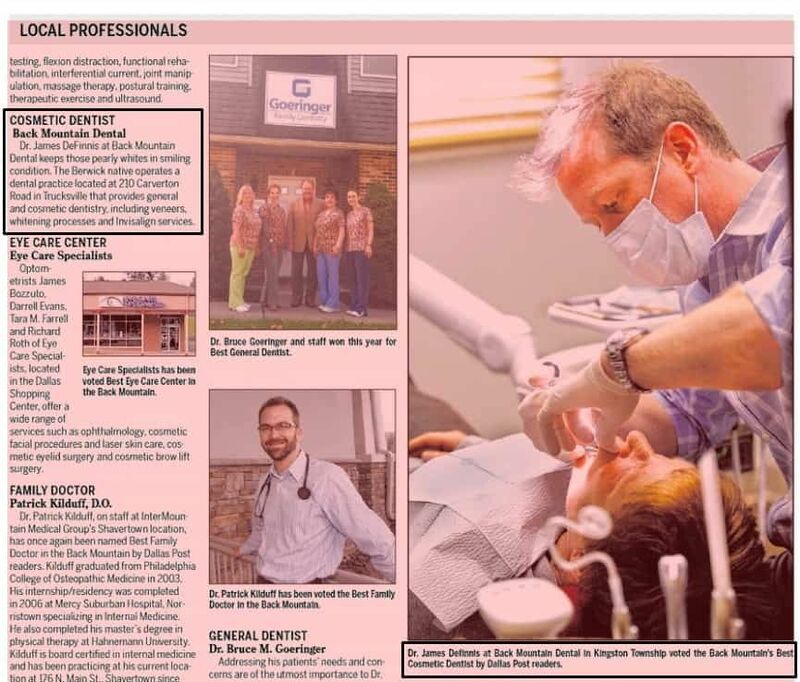 A Back Mountain dentist is being featured in the fall issue of the national dental magazine Incisal Edge, which is published by Pittston Township-based Benco Dental. 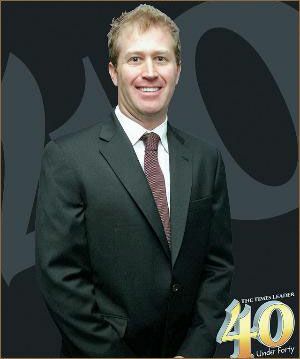 Dr. James DeFinnis, 39, owner of Back Mountain Dental in Shavertown, was nominated as one of the magazine’s “40 Under 40” — the magazine’s list of “the profession’s best young practitioners.” In a spread touting the professionals as “poised to heal — and dressed to kill,” DeFinnis sports a Burberry suit, Michael Kors shirt, tie by Hugo Boss and shoes by Mephisto. 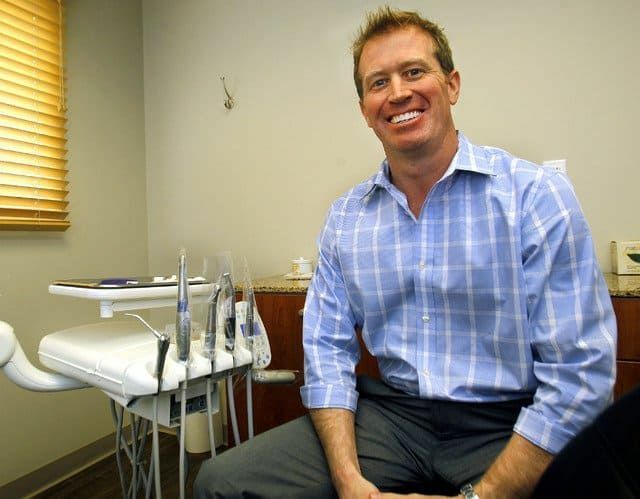 DeFinnis was nominated because he is the third dentist in his family to attend Temple’s Kornberg School, has more than a decade of experience and an expansive, seven-operatory office with state-of-the-art diagnostic and treatment technology, according to the magazine. To find out his favorite aspect of dentistry, the tool he can’t live without and an interesting tidbit you might not have known about the local dentist, go to www.benco.com and click on the Fall 2013 Incisal Edge magazine cover in the right column or see below. 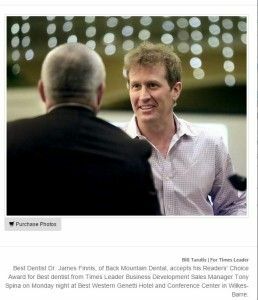 The Dallas Post Best of the Back Mountain Readers’ Choice Awards- Dr. James DeFinnis was voted ‘Best Cosmetic Dentist’ for 4 consecutive years 2010-2013. But while Dr. James D. Definnis of Back Mountain Dental acknowledges that fact, he hopes his patients can enjoy their visits. Dr. Definnis and his staff strive to make that happen by putting the patients “at ease” with friendly conversations, by getting to know them and joking around when appropriate. His practice avoids implementing a strict “white lab coat approach” to care. He added that his whole team enjoys developing relationships with the patients and while they take dentistry seriously, they don’t take themselves seriously. Cosmetic dentistry, which includes services such as whitening; Veneers, a thin layer of material placed on a tooth’s surface to protect a damaged tooth or for aesthetic purposes; and Invisalign, which helps straighten teeth without the “metal mouth” look of traditional braces. Sedation dentistry, which is for patients who may need more extensive dental work after years of neglect because of a phobia of visiting the dentist. Definnis said most patients who come in for sedation dentistry eventually transition into traditional care once they are more at ease. General dentistry, which includes services such as cleanings and normal fillings (white fillings exclusively). 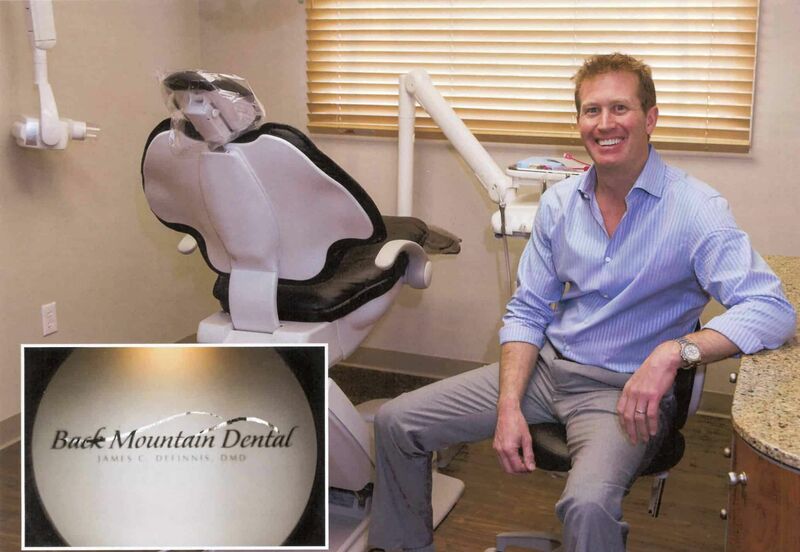 Changing the way you feel about dentistry, the motto of Back Mountain Dental, is a very fitting one for its practice. Back Mountain Dental, owned and operated by Dr. James DeFinnis, is located at 210 Carverton Road, Trucksville. Dr. DeFinnis, along with his dental staff, createsa calm, comfortable, inviting practice for his patients and allows them to experience state-of-the-art dental services from professionals who truly care. 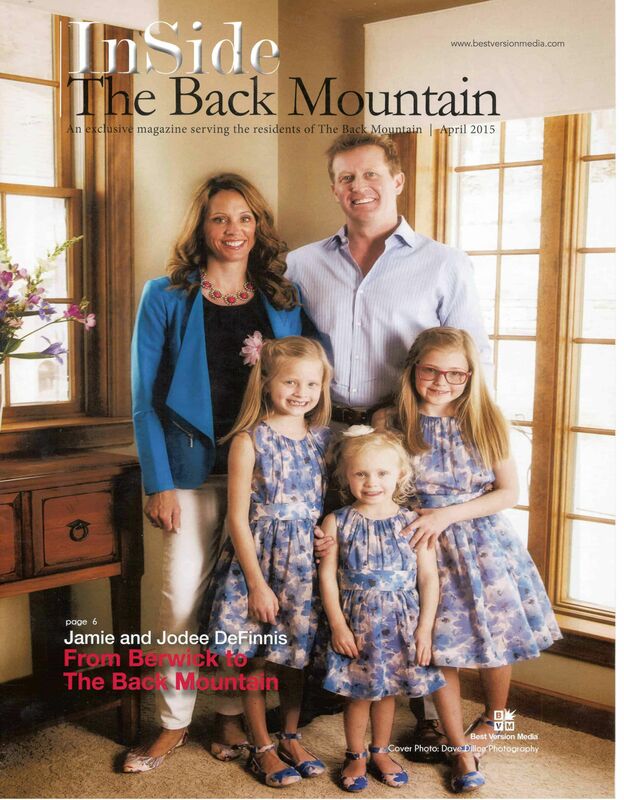 There is a very inviting atmosphere at Back Mountain Dental,” Dr. DeFinnis explains. 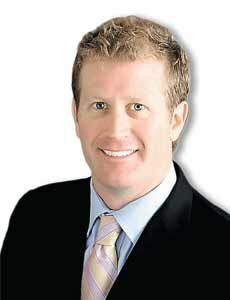 “There is not ‘white lab coat’ treating done here.” Not only does Back Mountain Dental provide quality cosmetic dentistry, and is up-to-date with the latest cosmetic procedures, Dr. DeFinnis, 38, is one of only a few local general dentists who specializes in Intravenous (IV) Sedation Dentistry. He has been certified and licensed by the state. According to a study published in the Journal of the American Dental Association, approximately 35 million Americans experience significant apprehension about dental procedures. Plus, an extra 10 to 12 million are considered to be ‘dental phobic,’ and avoid needed dental care altogether. Sedation dentistry is a faster, extremely safe, as well as effective, efficient way of dentistry for people who have a fear of the dentist. IV Sedation is a technique used by specially trained dentists like Dr. DeFinnis to keep patients comfortably sedated throughout an entire appointment. Medication is administered through an IV. Patients relax in a controlled, comfortable environment. While a nurse anesthetist makes sure the patient is well monitored, sedated, and at ease, Dr. DeFinnis provides the dentistry. A patient’s vital signs are constantly monitored throughout the appointment by a team of multiple professionals who are highly trained in safety and emergency procedures. Any healthy adult over the age of 18 is able to receive IV Sedation for their dental procedure. 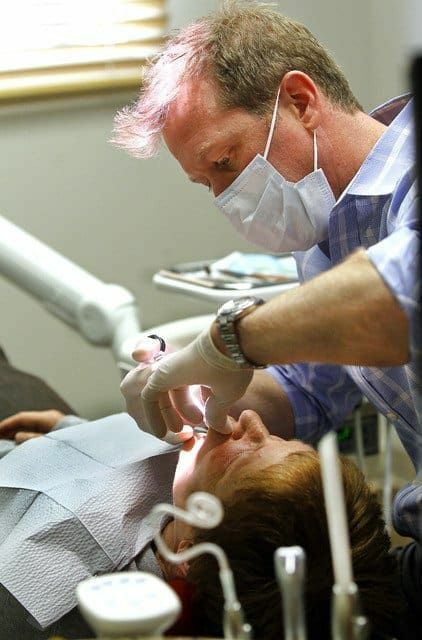 Dr. DeFinnis has received advanced training designed to increase the safety and effectiveness of the sedation. Dr. DeFinnis often attends courses around the country, keeping current on the latest dentistry techniques. He participates in continuing education courses on a regular basis and covers a variety of current dental procedures. Another feature which makes Back Mountain Dental unique is that it is one of only a few local practices which offer CEREC, a process that restores crowns and veneers in about two hours. With two Blue Cam CEREC machines, Dr. DeFinnis can make dental crowns and replace fillings chairside. CEREC allows the dentist to produce an indirect ceramic dental restoration using computer-assisted technology. Back Mountain Dental is in touch with its patients by having a connected mobile environment. With more than five billion cell phone users, they know having a mobile web presence is the future for their practice. That’s why they developed a Back Mountain Dental Mobile App so their patients can stayed connected with them 24/7. It features GPS driving direction, one touch calling feature, important information/specials, testimonials, before and after photos, videos and the share button so their patients can share Back Mountain Dental with their friends and family via email, Facebook or Twitter. “Our biggest referral source is from our patients telling others about us and that’s huge compliment” Dr. DeFinnis states. Another feature of the APP is an impressive ‘Smile Store’. It displays a variety of dental supplies that patients can purchase, such as electric toothbrushes, teeth whiteners, breath remedies and decay prevention products. Items are conveniently shipped to the customer’s home. The store is also located on their website backmountaindental.com. 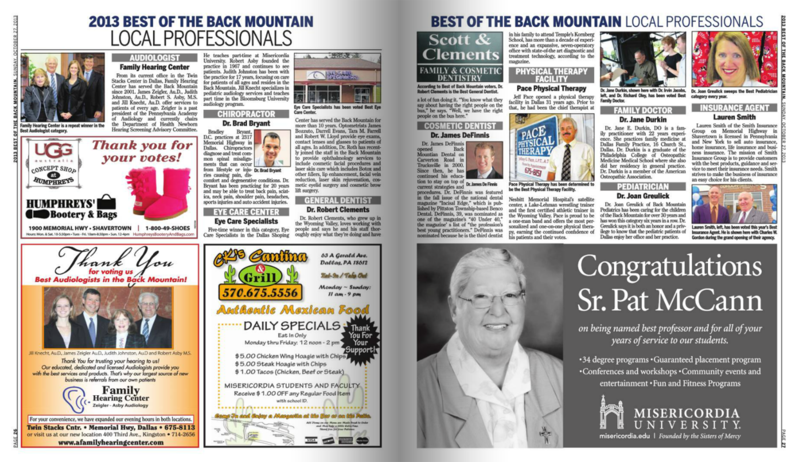 The public can search for “Back Mountain Dental” on iTunes and the Android market and download the application. Dr. DeFinnis was born and raised in Berwick, PA. After graduating from Berwick High School, he attended Bucknell University, receiving his Bachelor of Science degree with a major in economics and a science minor. In 1999, he graduated from Temple University School of Dentistry. Dr. DeFinnis resides in Shavertown with his wife and their three young daughters. Back Mountain Dental is accepting new patients and accepts most major insurance plans. The practice has normal hours of operation Monday through Thursday, and specialty cases are seen on Fridays and Saturdays. The office telephone number is 696-1105. Gina Geiser is constantly on the go, juggling her children’s school schedules and extracurricular activities with little time left for herself. And lack of time prevented her from scheduling an appointment despite recurring dental problems. The Berwick woman has experienced problems over the past four years, after suffering from a locked jaw. Any dental work has the potential to be troublesome, since she can’t open her mouth wide or keep it open for a long amount of time. Her teeth and gums are also sensitive to ongoing work. So when her dentist, Dr. James DeFinnis of Back Mountain Dental in Trucksville, told Geiser, 31, that she would need a crown to replace a tooth that was worn down by TMJ, she was apprehensive. But when he told her that the work could be completed in a single dental appointment in less than two hours, Geiser felt a lot better. Saving time is the main benefit behind the new dental technology that restores crowns and veneers in only one office visit. The process, called CEREC, restores crowns and veneers in about two hours. But while it has been available since 1987, with more than 15,000,000 restorations done nationwide, only one dentist offers the procedure locally. DeFinnis said the new Blue Cam CEREC machine, which he acquired last fall, can make dental crowns and replace fillings chair-side. Geiser had a traditional crown replacement several years ago and cringed at the thought of the hassle and discomfort of getting fitted for an impression and wearing a temporary crown until a new permanent crown could be placed in her mouth. On top of all that was the inconvenience of several 45-minute commutes from Berwick to Trucksville. “I was really pleasantly surprised that everything went so smoothly,” she said. The woman wore a bite lock so that her mouth could remain open during the process. CEREC is a dental restoration product that allows a practitioner to produce an indirect ceramic dental restoration using a variety of computer-assisted technologies, including 3D photography and CAD/CAM, explained DeFinnis. CEREC is an acronym for Chairside Economical Restoration of Esthetic Ceramics. The major draw to the dentist is that CEREC conserves the natural tooth structure of the patient, saving as much healthy tooth tissue as possible, DeFinnis said, which literally “banks” that part of the tooth in the event more dental work needs to be done. “Old silver fillings break down and cause the natural tooth structure to crack,” he said. CEREC is chemically bonded to the tooth. The result is a natural look and feel with enamel-like materials that are long-lasting and tooth-colored, the dentist explained. The procedure is simple and the patient can watch along as the technician does the work, as Geiser did, or they can work on their laptop computer. “It was interesting to see how the computer forms the new tooth,” she said. “Time really flies by as we’re doing it,” said DeFinnis. First, the cavity preparation is photographed and stored as a three-dimensional digital model. Proprietary software is then used to approximate the restoration shape using biogeneric comparisons to surrounding teeth. The practitioner refines that model using 3D CAD software. When the model is complete, a milling machine carves the actual restoration out of a ceramic block using diamond head cutters under computer control. When complete, the restoration is bonded to the tooth using a resin. A patient must still get anesthesia. After the procedure, a patient can immediately resume normal brushing, flossing and eating. Geiser said she didn’t experience any problems. Any initial discomfort and sensitivity was attributed to her existing dental condition, she said. A week later, the Berwick woman says she’s eating normally and has no sensitivity. DeFinnis also made Geiser a new bite guard, which she wears at night to prevent grinding her teeth in her sleep. DeFinnis and the three dental assistants at his office received training in the equipment and procedure in Scotsdale, Ariz., where they studied under Dr. Frank Spears, one of the country’s leading educators in aesthetic and restorative dentistry. DeFinnis is part of Spears faculty study club and also attends courses around the country. About 95 percent of all the crown and filling work is now done by CEREC. However, if a cavity falls below the gum line, DeFinnis said the old filling replacement work would most likely be done. Most major insurance plans will cover CEREC, with the cost of the procedure the same as the traditional crown replacement, which is under $1,000, according to DeFinnis. Geiser agrees. “Just the time savings alone is worth it,” she said. Dr. James C. DeFinnis is one of Northeastern Pennsylvania’s most respected practitioners of general and cosmetic dentistry. His private practice at Back Mountain Dental in Trucksville offers a full range of dentistry with an emphasis on cosmetic and restorative dentistry. A graduate of Temple University School of Dentistry, Bucknell University and Berwick Senior High School, he is the third member of his family to join the dental profession. His father, Dr. John DeFinnis, and brother, Dr. Thomas DeFinnis, practice in Berwick and Philadelphia, respectively. James is a member of the American Dental Association (ADA), Academy of General Dentistry, American Academy of Cosmetic Dentistry (AACD) and Pennsylvania Dental Association. He continues to educate himself in the latest dental techniques and has attended classes at the prestigious Las Vegas Institute for advanced dental education and attended courses by Dr. Frank Spears, one of the country’s leading educators in esthetic and restorative dentistry. He also attends courses throughout the country to enhance the services he provides to residents who live in the Wilkes-Barre, Scranton areas. Spend time with my friends and family (wife Jodee and two daughters, Isabella and Nadia). I enjoy extreme sports like drag racing a snowmobile on grass and surfing. Who has been the most influential to you professionally? My father, who also is a dentist, showed me how to run a successful group dental practice. Who is a celebrity that people say you look like or remind them of? I wish I could say someone like Brad Pitt but the girls at my office jokingly say Hermey from Rudolph the Red-nosed Reindeer. Richard Branson, owner of Virgin Mobile. He seems to have balanced his business success while having fun doing it.